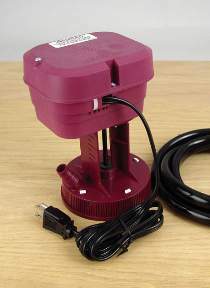 Used where water depth does not exceed 4” and where the motor will be placed under a protective enclosure. Rated at 180 gallons per hour. Measures 8-1/2"H. 1/2" vinyl hose not included, order separately below.